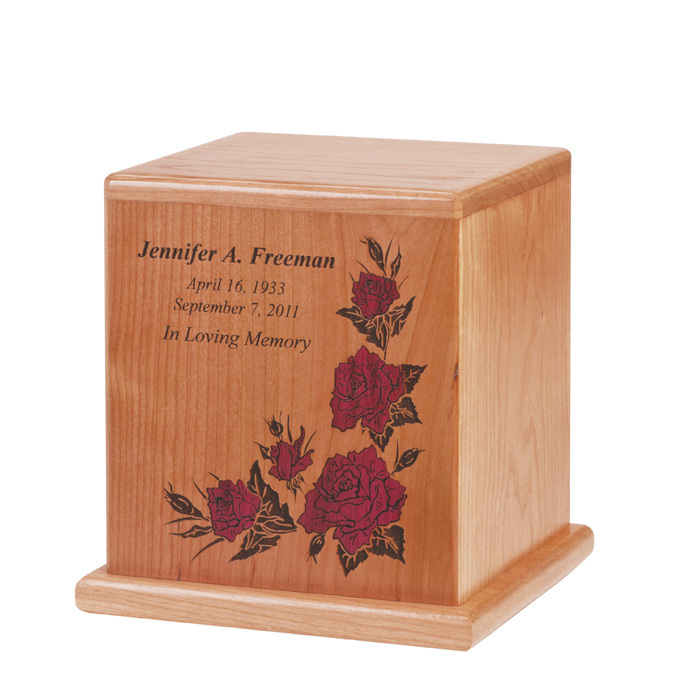 Inlaid and laser-etched to create a colorful and traditional memorial, rich with intricate exotic hardwood inlay mosaic. 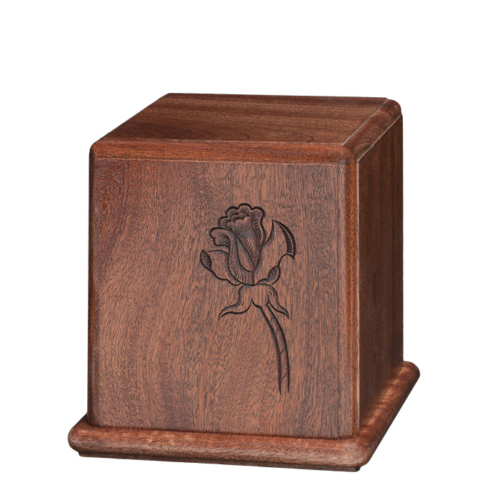 Choose Red Roses (CH-16P) or White Roses (CH-16M). 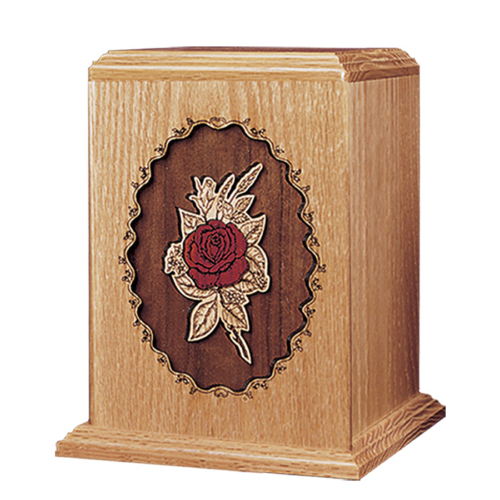 Shown with optional engraving. 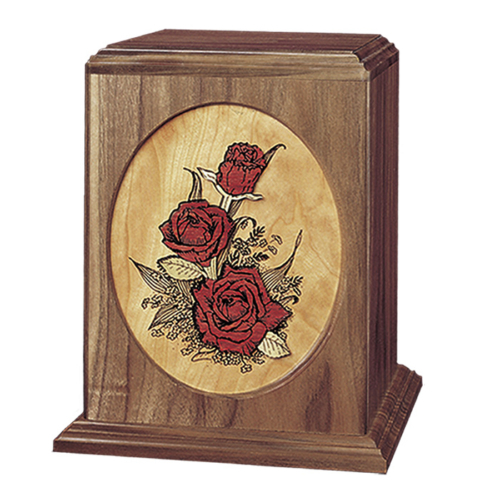 7¾ × 7¾ × 8¼"